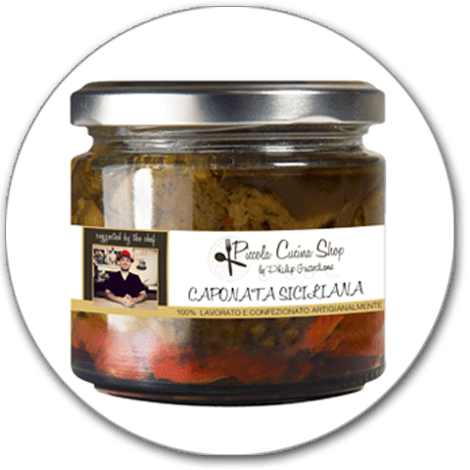 full bodies taste of a true sicilian caponata! Serve cold or at room temperature. Delicious with white toasted bread. Use for antipasti together with cheese, salami and other meats. Serve with grilled meat as a vegetable dish. And why not serve with cheese Fondue or Raclette.